Hear the hoofbeats of tomorrow! See the golden future rise! The story tells the tale of how a group of neglected farmyard animals unite in a revolution against man. The pigs: Snowball, Squealer and Napoleon take the helm as farmyard commandments are introduced; discouraging humanistic tendencies and strengthening the animalsâ€™ independence from man as well as encouraging all animals to be seen as equal. The pigs consider themselves to have superior intelligence over the other animals; feeding their hunger for power. This power comes at a high price though, as sabotage and deceit grow within the farm. The rules that applied to all animals, no longer apply to the pigs as they succumb to the temptations of privilege and power. After all, all animals are equal... But some are more equal than others. 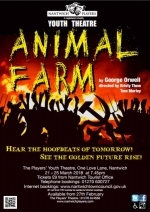 The youth theatre explore the relevant themes of power struggles, corruption and politics in an exciting and contemporary adaptation of Orwellâ€™s classic; Animal Farm. Directed by Kirsty Thew and Tom Morley, performances will be at 7.45pm on 21st â€“ 25th March, 2018. 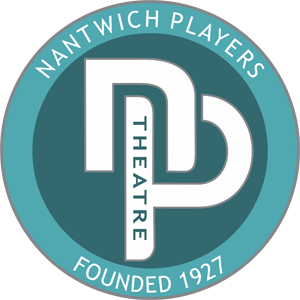 Tickets priced at Â£9.00 will be on sale from Nantwich Tourist Office (01270 600727) or on-line at www.nantwichtowncouncil.gov.uk from Tuesday 27th February 2018. Priority tickets for our VIP Supporters go on sale Saturday 24th February at the Theatre. To find out more about becoming a VIP Supporter visit the membership section of the website.